In another narration collected in Bukhari, we find out that those who die in childhood are entered into Paradise and are being looked after by Prophet Ibrahim (`alayhissalaam). “We set off, and we came to a verdant garden, in which were all the colours of spring, where there was a man who was so tall that I could hardly see his head in the sky. Around the man was the largest number of children I had ever seen…” Then among things that the two angels explained to him was: “As for the tall man who was in the garden, that was Ibraaheem. As for the children who were around him, these are all the children who died in a state of fitrah.” One of the Muslims said: “O Messenger of Allaah, what about the children of the mushrikeen?” He said: “And the children of the mushrikeen.” Narrated by al-Bukhaari (7047). 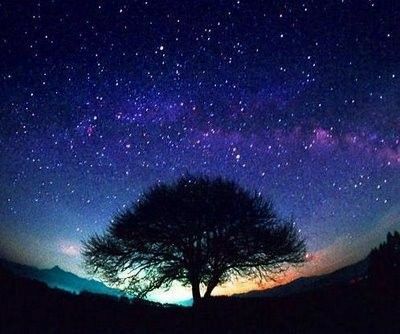 We all appreciate a good view of the stars from down here but one always fantasizes about being among them. At least I do. People talk about reaching for the stars as if it’s possible. Yes, that statement carries a lot of hope and motivation in it, but not everybody who tries succeeds. Just like Paradise, Hell has various levels which will be assigned to people according to the severity of their misdeeds. We already know a lot about Hell from the detailed accounts found in the Quran and Hadith. This sub-chapter of Book of Creation will cover some of them. No one here has seen Hell so we start off with what we have seen, can relate to and are familiar with: Sun, fire, heat, burning, warmth, fever, pain, hunger, disgust, desperation, hopelessness etc. 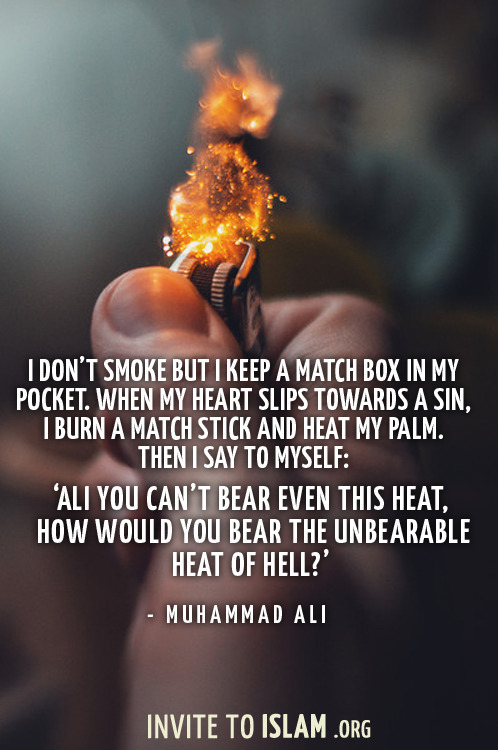 The Prophet (sallallaahu `alayhi wasallam) said, “Delay the (Zuhr) Prayer till it gets cooler, for the severity of heat is from the increase in the heat of hell (fire). To say that Hell has a part to play in the ups and downs of weather on this Earth might seem illogical and far from science, but it’s what we believe in because it’s what we’ve been told in the Sacred texts. Hell is usually thought to be hot. Very hot. But it might come as a surprise to some people that it has cold areas as well, known as Zamhareer. Cold as in severe cold that burns, not cool and breezy where people get to take a break from constant heat and burning. Question: why does it matter if summer happens when Hell-fire exhales and winter when it inhales, and why does it matter if fever is from the heat of Hell-fire? Yes, we believe it even if it goes against whatever Geography and Biology we have studied, but what does it matter? My point is, all these parables and examples are given so we can visualize the severity of punishment and find motivation to stop ourselves from disobeying Allah, and to seek refuge from it. An important point to be derived from this chapter is that Jannah has already been created. Some people might believe that it’ll be created after the hisaab on the Day of Judgement, but these narrations prove otherwise. 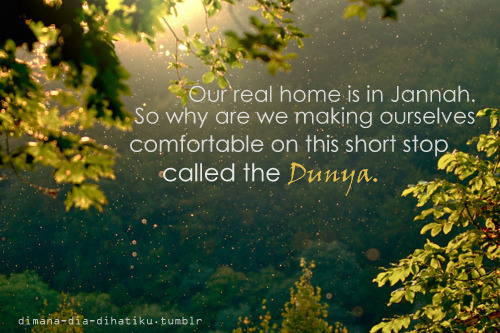 The life of an average person in Jannah will be better than any king of this world. What, then, can be said about the VIPs – the crème de la crème of humanity? Imagine a life of no filth, whether physical or mental or any other kind. They’ll be as pure as one can get. Jannah personifies purity. Purity of hearts, purity of minds, purity of wealth, purity of environment.. something we can only dream of in this world! Sa’d ibn Mu’adh (radiallaahu `anhu) is a well-known Companion of the Prophet (sallallaahu `alayhi wasallam). He’s famous for the decision he made in the matter of Banu Quraydhah and his funeral being witnessed by angels, among other things. So his handkerchiefs being better than a fine silk robe symbolizes the magnitude of his rewards in the Hereafter. So imagine a tree that almost never ends. Imagine its branches of gold and its variety of fruits. The point is, Paradise is huge and it contains ginormous things. Not just for show, but for our possession and use – if we’re willing to work for it. This narration is the last one from the chapter of Angels. It mentions the guard of hell-fire, Maalik, and the angels that guard Madinah so Dajjal can’t enter it. 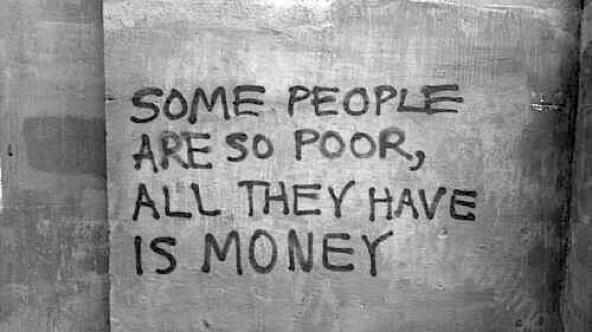 Bottom line: the Guccis and Pradas will stay here but our good deeds, our real wealth, will go with us. I always ask myself this before leaving the house: can anything about me entice a man? Works every time! If that’s how tents are in Paradise, I wonder what palaces would look like! For perspective: shown above is the Pearl of Lao Tzu (also referred to as Pearl of Lao Tze), the largest known pearl in the world. 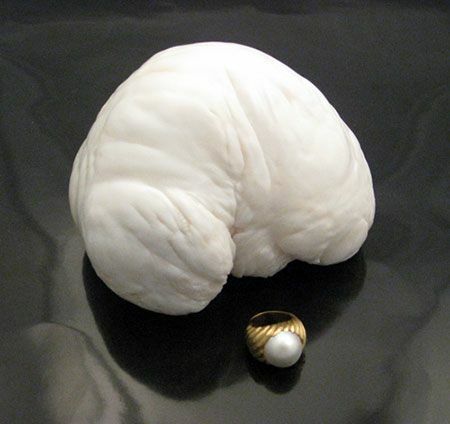 It is not a gem-quality pearl, but is instead what is known as a “clam pearl” or “Tridacna pearl” from a giant clam. It measures 24 centimeters in diameter (9.45 inches) and weighs 6.4 kilograms (14.1 lb). Ahadith 2648 – 2649 (below) are repeats. See linked text for related posts. He knew that people will mostly not come voluntarily to Him, so He mandated obedience, and thus led them to Him in the chains of obligation. The Lord wonders about people, driven into heaven through chains. This means that Allah the Almighty, Glory be His, knew that people will mostly not come voluntarily to Him to perform obedience of their own will, so He mandated obedience compulsorily, by threatening them punishment if they do not, and thus led them to Him in the chains of obligation and intimidation. He thus gradually led them to what guides them to eternal pleasure and elevates them to high levels. In other words, according to Ibn `Ataa’illah, Allah the Almighty knew that most people cannot see what is good for them and what may make them happy because of their psychological desires and instinctive needs. He also knew that if He leaves them to the guidance of their reason and the incentives of their natural disposition (i.e. fitrah) which are inherent in their human entities, they would be overcome by their whims and lustful desires. In the same vein, they would turn away from contemplating over what is dictated by sound reason and what is ordained by beneficial knowledge. Therefore, out of the Mercy and Kindness of the Almighty Lord, He drove them to the path of guidance and happiness through orders and ordainments and pushed them towards what is beneficial for them through commitment and obligation. This is similar to the father who disciplines a child and obliges him to unpleasant difficult tasks that are to his disliking, and only when he grows up does he discover their value. He discovers that only when his own immature mental faculties failed to realize what was good for his own self his father turned his words of guidance and pieces of advice into orders and obligations. This hadith refers to the prisoners of Badr from among the polytheists who were captured and then, when they had the chance to know Islam and interact with Muslims, reverted to Islam. As they did not know anything about the goodness and blessing that were awaiting them through staying for a while amidst the Muslims and under the protection of Prophet Muhammad (Peace and blessings be upon him); a matter which eventually led them to embrace Islam and become faithful believers in Allah the Almighty and His blessed Messenger. Remarkably, one should realize that the said chains of obligation are not restricted only to the compulsory rulings that are mandated by Allah the Almighty upon His servants. Rather, these chains of obligation may be represented in trials and calamities that may drive those who are afflicted with them to an end of happiness and welfare which they would have never reached or gained access to except through the scourges of such calamities. Accordingly, as true Muslims, we have to obey Allah the Almighty and carry out all His obligations and ordinances out of certainty that only through this we will pursue our interests and find our happiness. We have to realize that all we are ordered to do and/or forbidden from is meant only to guarantee our happiness and welfare in this present life as well as the Hereafter. He has obligated you to serve Him but in doing so He has only obligated you to enter His Paradise. This means that Almighty Allah apparently obliged you to serve Him, and in reality is only obliging you to enter His heaven, for He made deeds cause for entry to heaven. What is meant here and in the aforementioned word of wisdom is stating that Allah is Rich beyond His creation: their obedience does not benefit Him, and their disobedience does not harm Him. All orders and mandates in reality bring benefit to them, and He is the Most Wealthy, the Most Gracious. Finally and to sum up, the above two words of wisdom by Ibn `Ataa’illah As-Sakandari mean that Allah the Almighty knew that most of His slaves are not self-motivated in seeking Him; so, He obligated for them obedience to Him. He pushed them towards Him with the chains of obligation. And that He, Glory be His, has obligated them to serve Him but in doing so He has only obligated them to go to His everlasting Heaven. Ahadith 2642 – 2643 (below) are repeats. Read the related post here. Many things can be said about this, evidences brought from Quran and Sunnah to prove further importance of this hadith.. but I’ll mention here a story or two of the sahabah and their way of honoring and serving their parents. We hope and wish to be as dutiful as they were. May Allah make us more like them in all aspects of the deen. It was narrated from ‘Abd-Allaah ibn Dinaar from ‘Abd-Allaah ibn ‘Umar that a man from among the Bedouins met him on the road to Makkah. ‘Abd-Allaah greeted him with salaam, seated him on the donkey that he was riding and gave him a turban that he had been wearing on his head. Ibn Dinar said: We said to him: May Allaah guide you, they are just Bedouins and they would be content with little. ‘Abd-Allaah said: The father of this man was a friend of ‘Umar ibn al-Khattaab and I heard the Messenger of Allaah (peace and blessings of Allaah be upon him) say: “The best act of kindness is for the son to uphold ties (of friendship) with those who were his father’s friends.” Narrated by Muslim, 2552. According to another report narrated by Ibn ‘Umar: when he went out to Makkah, he had a donkey which he would ride when he got tired of riding his camel, and a turban which he tied around his head. One day whilst he was riding that donkey, a Bedouin passed by him. He said: Are you not So and so, the son of So and so? He said: Yes. He gave him the donkey that he was riding and said: Ride it. And he gave him the turban that he had been wearing on his head, and he said: Tie it around your head. Some of his companions said: May Allaah forgive you, you have given this Bedouin a donkey that you used to ride when you got tired of riding your camel and a turban that you used to wear on your head. He said: I heard the Messenger of Allaah (peace and blessings of Allaah be upon him) say: “The best act of kind of kindness is for a man to honour his father’s friend after he has died,” and (this man’s) father was a friend of ‘Umar. Abu Hurayrah was appointed in charge of Madeenah by Marwaan. He lived in Dhu’l-Hulayfah (approximately ten kilometers from Madeenah) and his mother lived in one house and he lived in another. When he wanted to go out he would stand at her door, and say: Peace be upon you, O my mother, and the mercy of Allaah and His blessings. 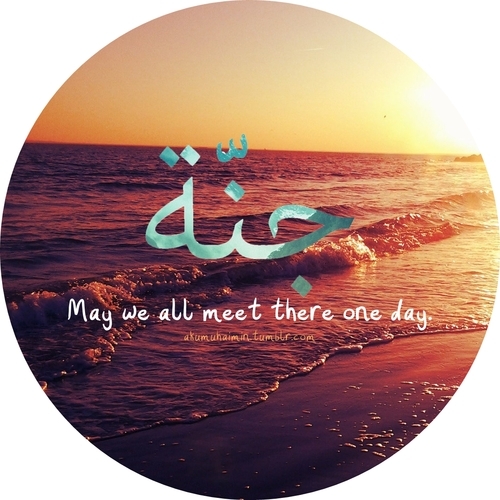 And she would say: And upon you, O my son, and the mercy of Allaah and His blessings. And he would say: May Allaah have mercy on you, as you brought me up when I was young. And she would say: May Allaah have mercy on you as you took care of me when I grew old. Then when he wanted to come in, he would do likewise. Most of us, if not all, have parents alive today whom we take for granted. We think they’ll always be there to listen to our rants and tantrums, give in to our wishes sacrificing their own and make life better for us in every way possible. What we fail to do is imagine a world without them, to realize that there’ll come a time when they won’t be there anymore.. their comforting voice, their soothing touch and their reassuring presence – all gone. Yes, we’ll probably live to see that day when they’ll breathe their last. We might even be there holding their hand at that moment feeling devastated but unable to do anything about it. We fail to imagine all that and so we fail to serve our parents to the fullest while they’re alive and with us. We fail to honor them and to be dutiful to them as they deserve to be honored and obeyed. And hence we fail to succeed in the best of all jihads: parents.